Several times I've asked myself how to review this book. 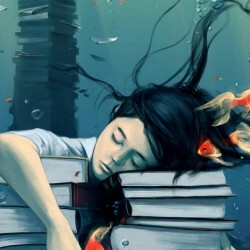 How do I capture the essence of this book without muddling it? This is a book that will strike you to the core, thrash you about, bring smiles to your face and tears rolling down your cheeks. 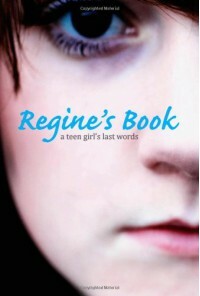 Regine's words, her photos, her fears, her highs, her lows, her love, her hope and her acceptance of the end. The words of a teen, one moment doing normal teen things and the next getting bone marrow biopsies and chemo and struggling through each day and welcoming another day as she opened her eyes. The love she had for her family and the love her family has for her. The things they miss about her and the things they know they will miss experiencing with her. Wrote through the last full change of season's of Regine's life, starting in Autumn 2008 and ending in Autumn 2009, you are brought into her life through journal entries, blog entries, letters, poems, photos, etc. One thing you will notice is that throughout everything, even when Regine was at her lowest points, she thought of others too. She loved life and did her best to help those around her also love life and think of the positive instead of the negative. A girl of strength that has moved mountains with the emotions that come through in this book. No one will turn the final page in this book without having ran through a gauntlet of emotions, no matter how young or old they are.